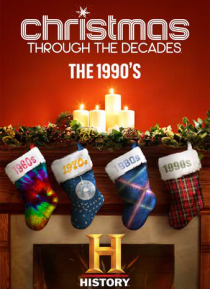 The 90s holiday season began with cheer as Soviet leader Mikhail Gorbachev resigned on Christmas Day. Desktop computers, Tickle Me Elmo and the latest Beanie Baby toys were on everyone's Christmas list. And Socks the Cat got his own Christmas decorations at the White House.